Los versos marcados con el asterisco tienen las palabras desordenadas. Hay que ordenarlas. 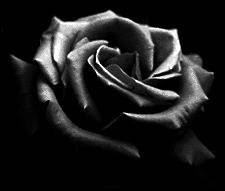 *New makes face black old night her beauteous and. *Myself no for quiet and find thee for. hace la noche clara y su vejez recrea. por mor de ti y mí mismo, nunca encuentran calma. was shining and queer in your hair, and it turned my head." under the tree?" "Well, your mouth, too." "Yes, my mouth?" "And the quiet there that sang like the drum in the booth. I wouldn't have danced like that with any but you." "I didn't know. I thought you knew it was fun." "I thought it was love you meant." "Well, it's done." "Yes, it's done. into the pool while it screamed. Is that fun, too?" "Well, boys are like that... your brothers..." "Yes, I know. But you, so lovely and strong! Not you! Not you!" "They don't understand it's cruel. It's only a game." "And are girls fun, too?" "No, still in a way it's the same. It's queer and lovely to have a girl..." "Go on." but it's only in fun." "But I gave you everything." and calls her a..." "Stop that now. I thought you knew." "But it wasn't with anyone else. It was only you." "How did I know? I thought you wanted it too. I thought you were like the rest. Well, what's to be done?" "To be done?" "Is it all right?" "Yes." "Sure?" "Yes, but why?" "I don't know. I thought you were going to cry. You said you had something to tell me." "Yes, I know. It wasn't anything really... I think I'll go." at the dance next week. You're sure that everything's right." "Yes." "Well, I'll be going." "Kiss me..." "Good night." ... "Good night." And - which is more - you'll be a ___________, my son!